This Pentek CBU-10 carbon block filter cartridge for ultraviolet (UV) systems reduces fine sediment, chlorine taste and odor, and protozoan cysts in residential drinking water. It has a nominal filtration rating of 0.5 micron at an efficiency of 85%. The cartridge surrounds the quartz UV lamp sleeve in Pentek UV-110 and UVS-110 ultraviolet water treatment systems to provide prefiltration that assures maximum transmittance of UV light through the water. It has a maximum operating temperature of 180 degrees F (82.3 degrees C). 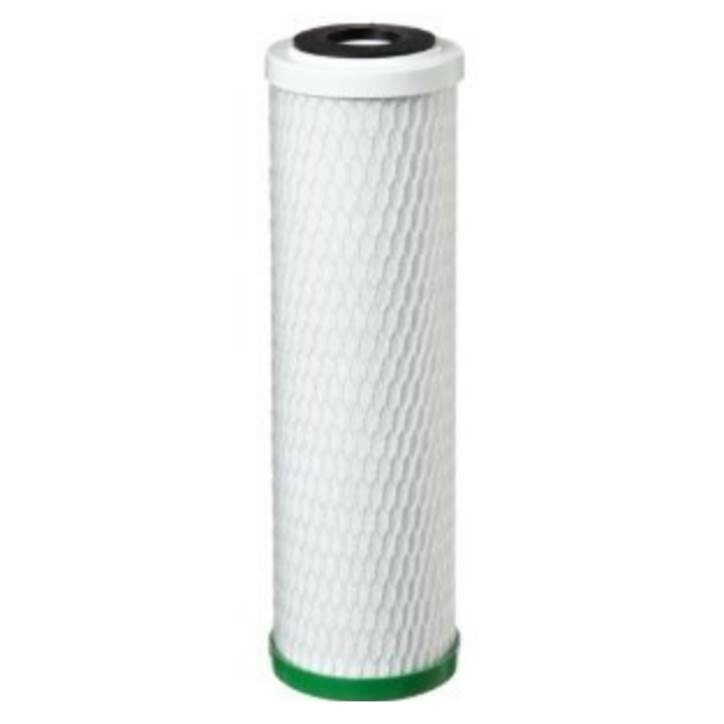 This carbon filter cartridge is for use in residential drinking water purification.